Meet Kerri Maniscalco and special guests for her HUNTING PRINCE DRACULA fall tour! i am so thrilled to announce the fall tour stops for HUNTING PRINCE DRACULA! join me and special guests at each stop while we chat about books and all of our favorite things. we’ll be unveiling more guests over the next couple of weeks, so stay tuned! Signed/personalized preorders will be available at each location for anyone who cannot make it out to the event, so check out/contact the bookstores for info on how to place your order. For non-US readers, BOOKS OF WONDER sends out international packages. YAY! ***If you’ll be attending the events, books will be available for purchase there. Both myself and special guests will be there to sign your copies. Please check with the individual bookstores for any special instructions they may have on if they allow other merchandise/books to be brought to the event. ***If you want to preorder (through an event bookstore) and still plan on attending the event, please contact the bookstore where your event is taking place. They will have information on how to proceed with your order. hello everyone! 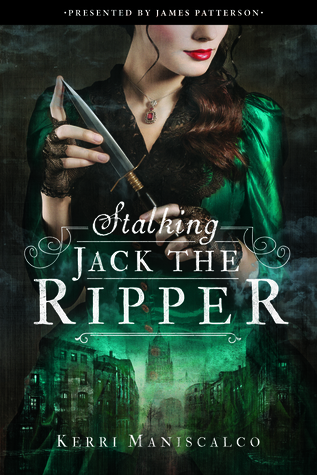 *waves* i have been sitting on this news for a little while now and i am so, so excited that i can finally share the fall tour and STALKING JACK THE RIPPER launch event with you! i’m planning a bunch of fun things–tasty treats, a door prize, and other SJTR-themed launch-type things for Memphis. i cannot believe my book will be in the world in just six weeks. it still doesn’t seem real. to celebrate the tour announcement, i’m hosting an international giveaway on Twitter. it includes a signed copy of SJTR and some really fun swag. i hope you enter and wish you lots of luck! will i see any of you on tour??? ?